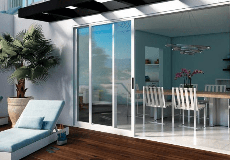 Emerald City Energy is committed to excellence of service and providing the best product available to meet our customer's individual window, patio door, skylight, and entry door needs. We carry windows from many different manufacturers enabling us to provide the right window or patio door for your house, condo, or building. Whether you're replacing older vinyl windows, energy wasting aluminum windows, or even drafty wood-framed windows, we offer the best solutions to maintain the integrity of your home at a price point that fits your budget. Emerald City Energy also installs entry doors custom fit to your opening, and in nearly any style and color to match your home's distinct personality! Crafted in the Northwest for the Northwest, our high quality doors set the mark in durability and security. Your entry tells guests what they can expect from the rest of your home, and nothing creates a bigger impression that a beautiful front door! Emerald City Energy Inc. is rated 5.0 out of 5 by 7. Rated 5 out of 5 by West Phinney Ridge from Smooth as....new insulated glass! All interactions with Emerald City Energy were professional, efficient and thorough. From initial inquiry and booking with Erin, measurements with Tipton and installation by Trevor (who expertly dealt with window openings that were sorely out of square and who cleaned up after install better than any carpenter who has ever been in our home) I am very pleased with our new replacement windows. Thank you, Emerald City Energy, for your excellent service! Rated 5 out of 5 by andremora from Great customer service and smooth install All around, Emerald City Energy was a pleasure to work with. From phone calls, quotes, and installation, they were always in a good mood, extra helpful, and careful to get the job done right. After the initial in-person sale estimate, someone visited our home for exact measurements. That ended up being the same installer, which was ideal. He removed several windows and had no trouble with the fact that our widow frames varied. We still have one set of windows to update and I will not hesitate to hire them again. I would recommend them, no hesitation. Rated 5 out of 5 by Peter78 from Great installation experience and great windows. I hired Emerald City Energy to replace an old aluminum window that was failing. My house is was built in 1922 and I wanted to have the replacement windows match the original ones. We looked at old pictures of the house and Emerald City Energy was able to recommend a Milgard window that was perfect. We went with the Essence series wood clad fiberglass widnows, and Milgard made them to my specifications exactly. The installation went smoothly and we're enjoying our new windows. We live on a busy street so it's nice to have the new windows keep out the road noise. I'm happy with Emerald City Energy and Milgard, and I intend on using both again when I have my next window replaced. Rated 5 out of 5 by JeffT from Frendly, professional staff. Emerald City Energy was very professional and always responded in a timely manner. The crew did a great job with the product, cleanup, and finished the job in short order. Very pleased with our new window. Rated 5 out of 5 by sjohns from Installed 20 windows in 2 days The crew at Emerald City installed 20 windows in two days. They were very carful when pulling out the old frames and did a great job installing and sealing the new windows. Haven't had any problems. Rated 5 out of 5 by boki from excellent service & love the windows emerald city energy was such a great company to work with from start to finish.